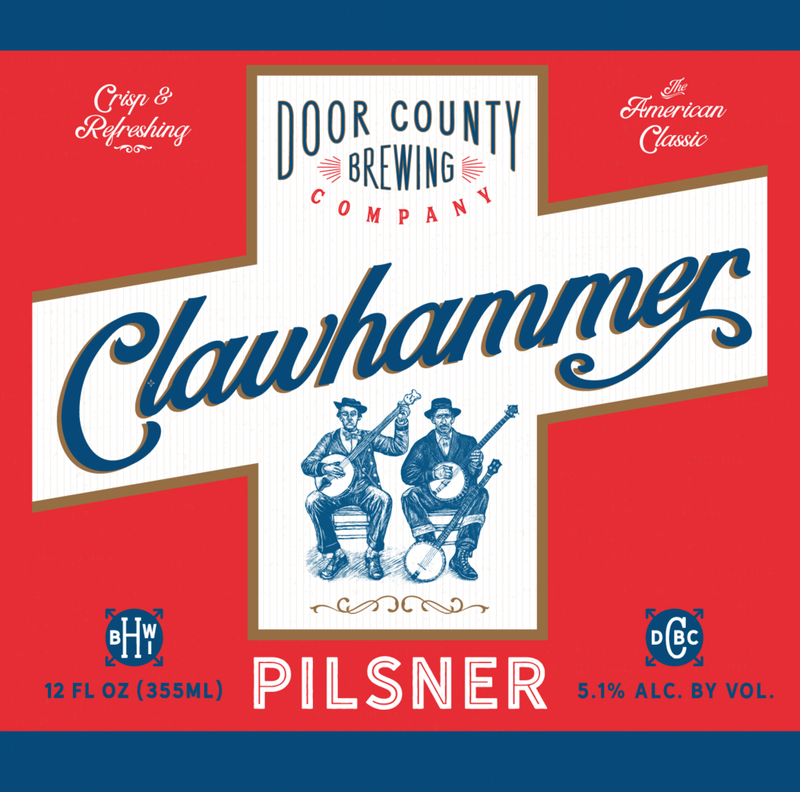 Announcing the Release of Clawhammer Pilsner as a Year-Round Offering — Door County Brewing Co.
"We've been contemplating brewing a Pilsner for quite some time. It's the one style of beer people have requested us to make basically since day one. We're excited to finally be able to fulfill that request,” explains Door County Brewing Co.’s Founder and Head Brewer, Danny McMahon. “For Clawhammer, we let our Assistant Head Brewer Kyle Gregorash take the lead on recipe development as he has been a huge proponent of the style since he arrived in Door County two years ago. Our goal with this beer was to create something extremely clean, crisp and simple while still being delicious. The recipe is extremely simple, using almost all pilsner malt, and then, we used just a touch of some newer age German hops to add that slight bite of bitterness that is common in this style. We expect Clawhammer Pilsner to be the perfect beer for summer time in Door County and the rest of Wisconsin."